« I’ve Seen Fire and I’ve Seen RAIN! When we moved into our new home after the earthquake almost two years ago now there were several green plants that we would normally consider to be house plants in the United State planted in pots along the wall. 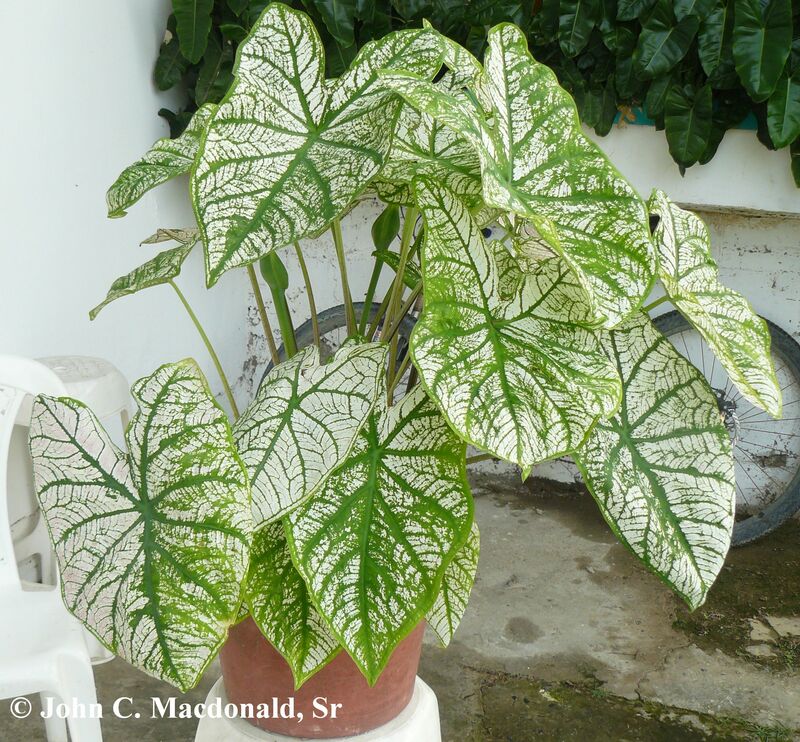 One of these plants had odd variegated green and white leaves that were tinged with pink and red colors. It was in a smaller pot and seemed to be struggling, so we re-potted it to a larger pot and moved it up onto our raised planter by our front porch to keep it out of the reach of our chickens. That area kept it protected, but afforded the plant with more direct sunlight and the leaves lost most of their red and pink coloring. The thing about living almost directly on the equator is that there is not one side of a home that is always in sun or always in shade year-round and as the sun moves further and further north the ledge area will be more shaded throughout the day and more of the red coloring will return. 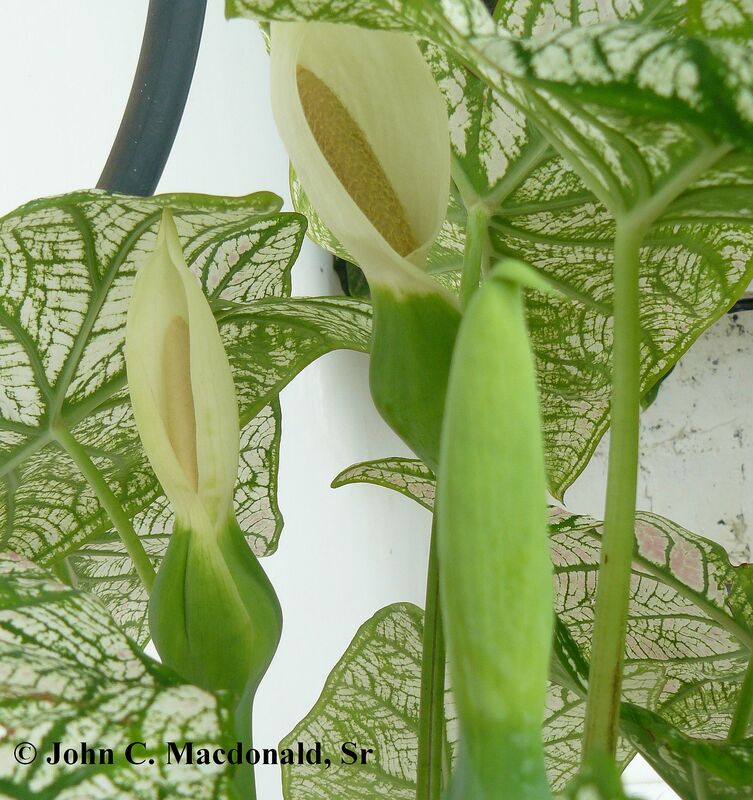 But, a week or so ago we noticed a strange new growth on the plant, so yesterday I moved the plant to a stool on our front porch to get some pictures to share with you. 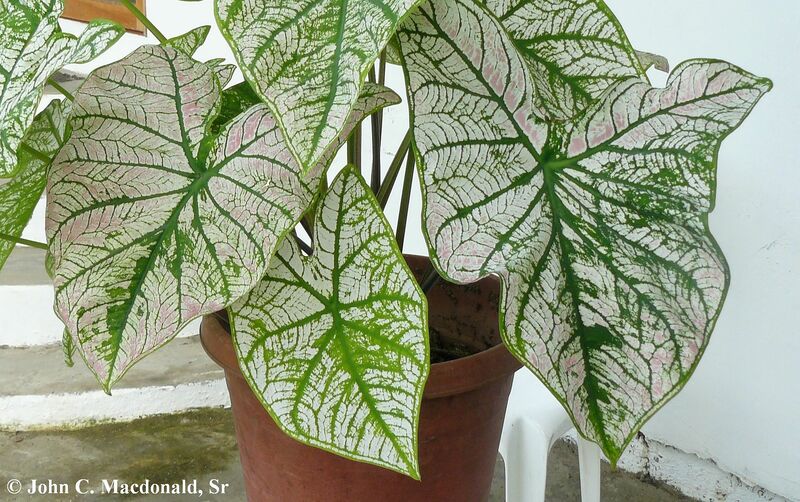 A Google search told us that the plant is a Caladium plant. 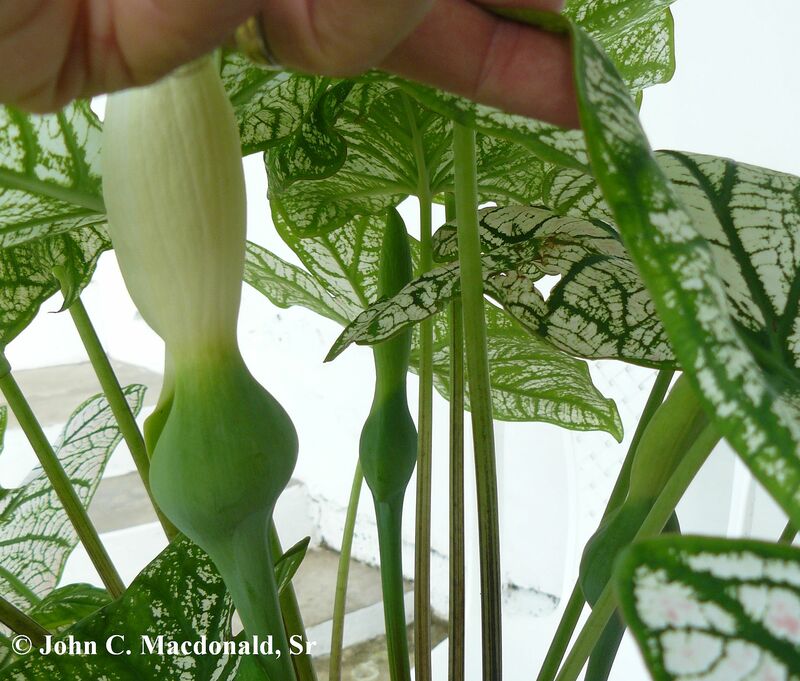 Further research shows that these plants are generally house plants in the north and grow from bulbs. 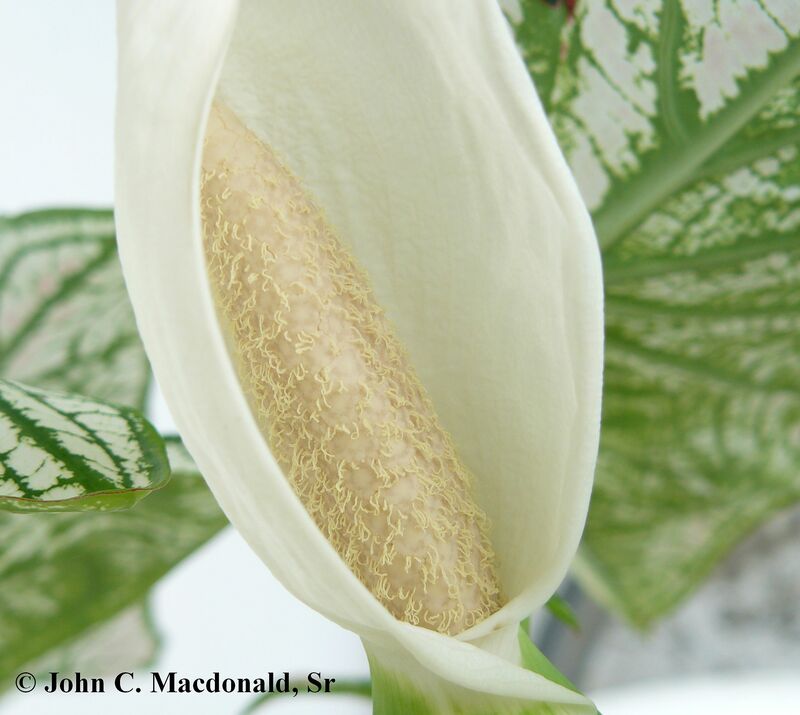 Google tells us that these plants rarely flower, but occasionally do produce long white flowers. 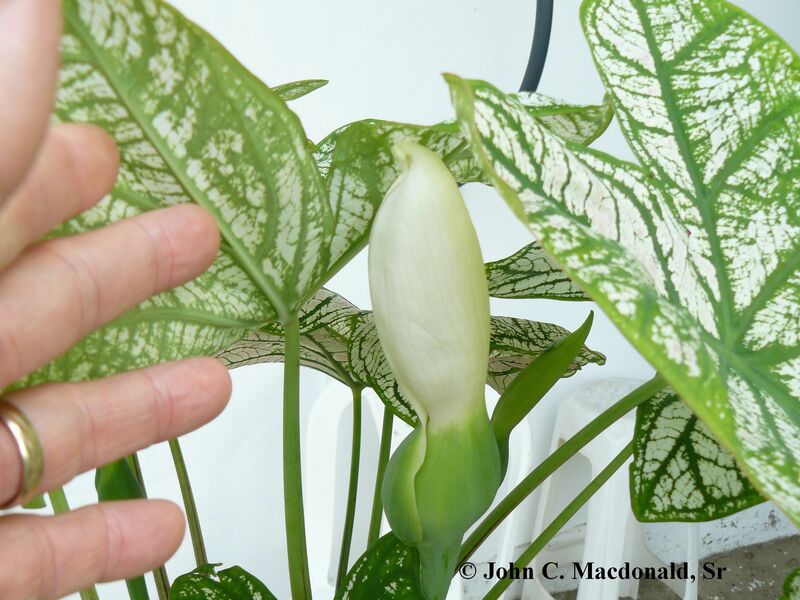 If you look closely above you can see a long green and white flower bud in amongst the leaves or our caladium plant. A closer shot shows that there are two other flowers forming up that seem to be a little less developed than the primary flower. 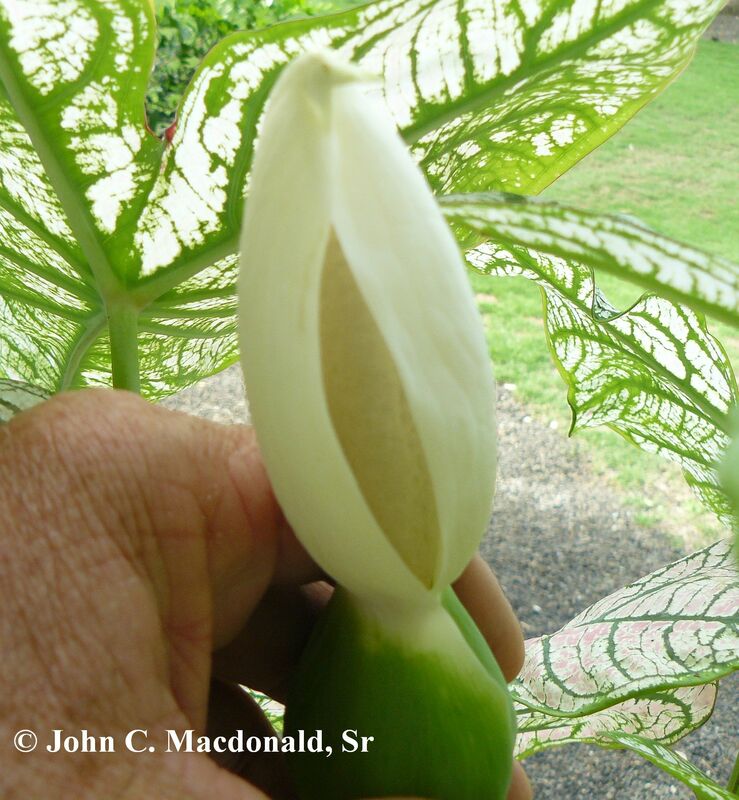 Yesterday only the largest flower was partly opened. So this morning I went back out with the camera to see if the others had opened at all and to see if the main flower had fully opened. 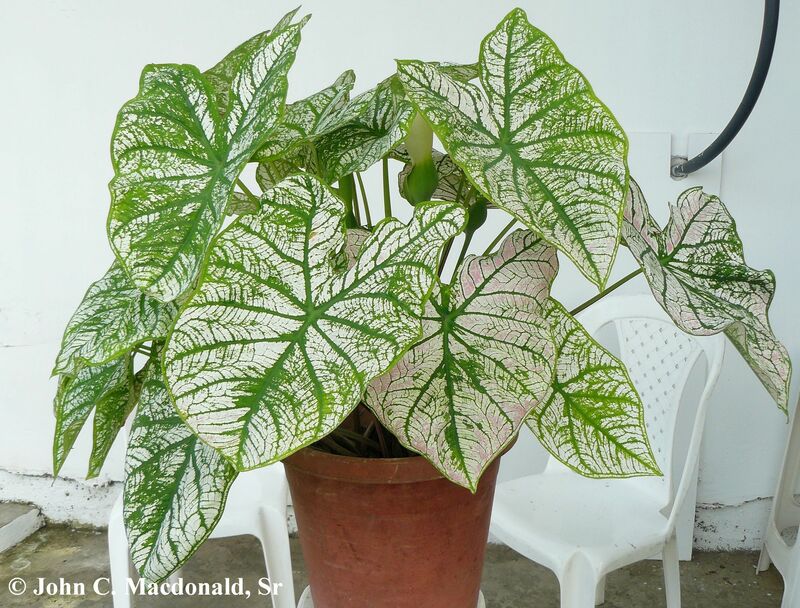 We will be moving the caladium back up onto the ledge and will try to keep you posted as the increasing shade allows for more red and pink leaves to develop, but even now this is simply a beautiful thriving plant. 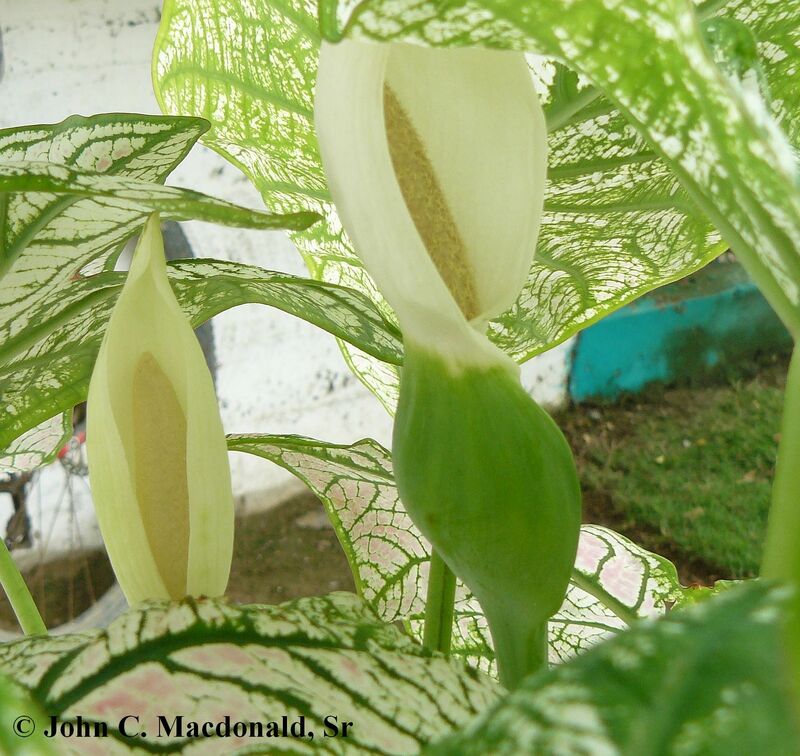 The plant is beautiful and looks vivacious!!! I have not seen a flower like that!!!! Incredible!!! !